James Harrison #92 of the Pittsburgh Steelers warms up prior to the game against the Cincinnati Bengals at Heinz Field on December 28, 2014 in Pittsburgh, Pennsylvania. 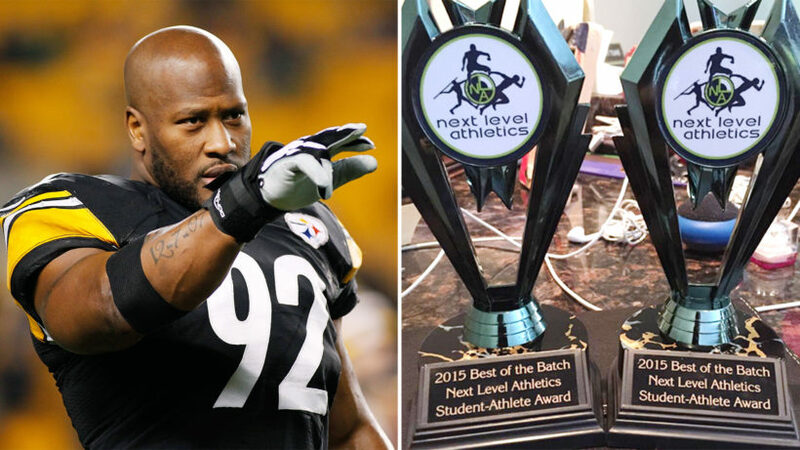 Steelers' James Harrison returns his kids "participation trophies"
Cartoon by Scott Adams, Aug. 9, 2011 (Dilbert.com). Read the Dilbert comics Classroom Usage Statement.